For over 100 years, Samsonite has been providing travelers with dependable, well-designed luggage. My parents had a few suitcases back in the day and I’ve grown up relying on Samsonite’s high standards. Samsonite has been a leader in luggage design, designing the industry’s first hard-shell suitcase and first suitcase on wheels. They continue to design for the traveler in mind, making many refinements that travelers have come to appreciate over the years. I’ve rounded up the best luggage from their expansive collection, from carry-ons, luggage sets, boarding bags and more. 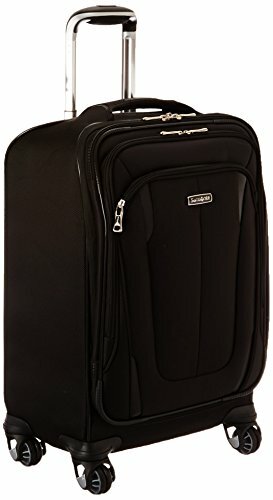 Samsonite Aspire Xlite Upright Luggage 21.5 in. 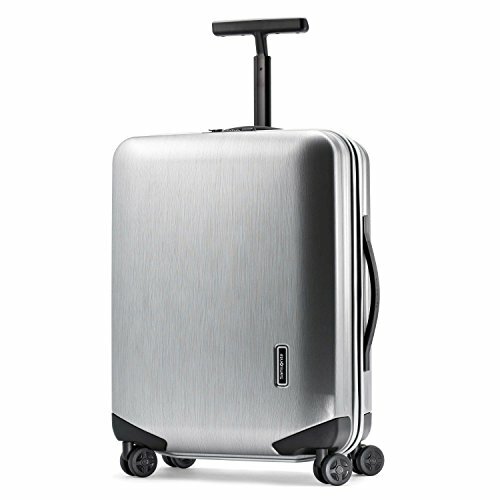 The Samsonite Aspire Xlite combines a lightweight build with padded sides and tons of features, for a luxurious yet durable experience. The bag measures: 22 x 15 x 8 inches, including the wheels. Most airlines will consider this bag a carry-on, but doublecheck with your airline just in case. I’ve used this bag before without an issue. It also weighs 7.5 pounds in total, which is ideal when you are trying to maximize your packing weight til the last drop. The lighter your bag, the more you can carry inside. It also makes the bag easy to lift and maneuver before you start to pack. The features outside the bag include one medium and one large zippered pocket, which are both padded. On the side and top are padded handles for comfortable handling. I love the expandable zipper outside, which expands for added packing capacity. It turns a good carry-on into a great and versatile bag. Inside features a clever way of separating liquid-filled items, such as toiletries, from your belongings. The inner lid is split into two sections. One section consists of a plastic “Wetpak” zippered pocket and the other is a zipped mesh pocket. I’ve never seen this feature before in luggage. Overall, I found the suitcase to be spacious and practical, meeting my travel needs and then some. For something a little less basic and more luxe, try the Samsonite Silhouette Sphere Spinner. Try saying that ten times! Improving on the last suitcase I mentioned, this bag has multi-directional spinner wheels and increased styling. From the pockets on the outside to the interior, everything has been designed to be eye-catching. Outside features beautifully sculpted handles on the top, side, and bottom. You normally don’t find a third handle lurking underneath the wheel area, but I appreciate that I have options to grab the suitcase from any side. Continuing on the front are two padded zippered pockets, one small and one large. The extendable handle is gel-infused and has a soft grip feel. Once extended, the handle can be adjusted to pull out midway and then completely. Inside features a trifold removable garment bag, which holds suits or delicate dresses. The strap to secure belongings from sliding around is wide with a mesh fabric and buckle design. It’s a welcome improvement to the narrow nylon straps that are usually provided with suitcases. Inside the lid, there is a plastic pocket on one side and a mesh pocket on the other. Both are zippered. 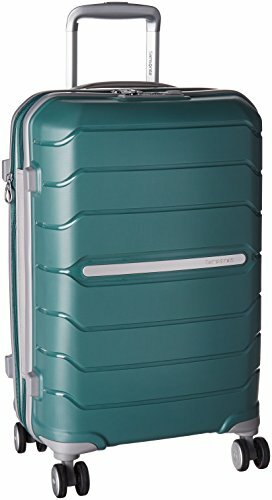 All in all, I consider this a cut above other suitcases and would recommend it to the serious traveler or person who wants extra features. Body Dimensions: 19.0 Inch x 14.5 Inch x 9.5 Inch ; Overall Dimensions: 22.0 Inch x 15.0 Inch x 9.5 Inch ; Carry On Sized - Luggage designed to fit in most airlines overhead compartments; may not conform to some airlines carry-on standards. 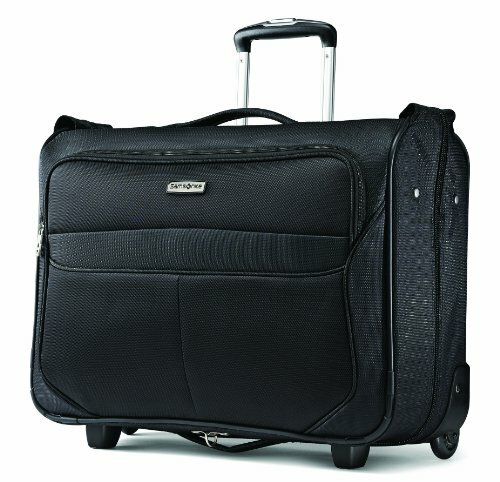 The exterior of the Samsonite Omni Carry-On is 100% polycarbonate and is very durable. The case will stay beautiful on the outside, due to its micro-diamond texture. A TSA lock is built-in to the outside and is handy if you don’t already have a lock. The exterior zipper is well made and keeps everything inside secure. It weighs only 6.8 lbs and measures 22 x 15 x 9.5 inches, including its four wheels. Again, check with individual airlines size limits just in case. The handle extends easily and feels strong compared to flimsy ones I’ve tried. Inside it has a full zip interior pocket, divider, and cross straps that secure belongings from corner to corner. It’s so easy to carry over the uneven surfaces at the airport and it spins 360 degrees, thanks to the four fully-rotating wheels. Spinner carry-on luggage is the best. Thanks to the expandable zipper, you can turn this luggage into a bigger size. Just keep in mind, once it’s expanded it will have to be checked in. It’s perfect for me when I’m coming back from a trip and I decided to do a little shopping. It’s very versatile and expands to a larger suitcase. Samsonite backs this carry-on with a 10-year warranty. I highly recommend this carry-on, especially at the very reasonable price. 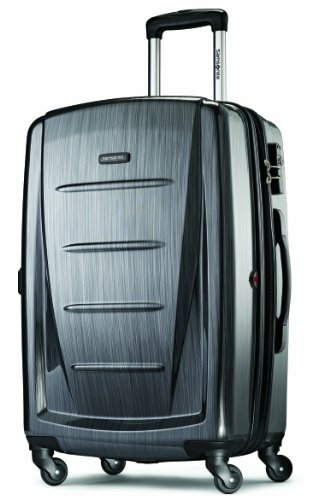 The James Bond of luggage, Samsonite’s Inova HS Spinner suitcase exudes class and style in a lightweight package. Mixing technology and style, this suitcase is tough yet ultra lightweight. The Inova Spinner is made of 100% Makrolon polycarbonate, a high tech material known for its reliability and high impact resistance. 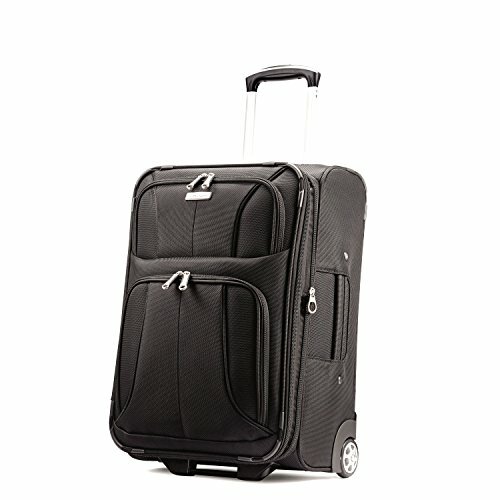 The suitcase weighs just under 6 pounds and measures 20 x 15 x 7.5 inches, which includes the wheels. Most airlines will accept this as a carry-on, but always check your airline’s website. The Inova Spinner also has a textured brushed finish to reduce the visibility of scratches. After several flights, you want something that is going to prevent the appearance of wear and tear. Instead of two or four wheels, this has eight wheels in total. Each corner consists of double wheels that can pivot 360 degrees for optimal maneuvering. A push-button unlocks the retractable handle, allowing you to set the handle to one of two heights. It’s a T-bar handle, which can be used to lift the suitcase off the ground. On the side is a thick handle for lifting when it’s on its side. Inside the luggage, is a zippered divider which keeps the luggage split into two halves. The divider itself is made of flexible plastic mesh and can be used to store items. Other than this divider, there are no other compartments inside to separate small items. I don’t mind because I always bring packing cubes, which I find are better than the built-in compartments inside luggage. To keep clothes and belongings secure, there is a Y-shaped strap which lays over your items and fastens with a buckle. As an added feature, it comes with a side-mounted TSA lock which sits along the main zipper. 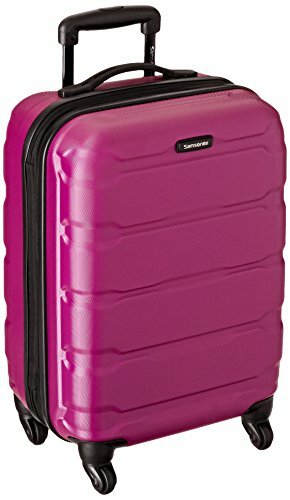 The Freeform Hardside Spinner from Samsonite brings lightweight and durable functionality into a unique and attractive design. Weighing a shade more than the previous suitcase, at 6.5 pounds it is still very lightweight. It measures 21.25 x 15.25 x 10 inches, including the wheels and would be considered a carry-on by most airlines. This model also comes in two larger sizes, in case you need something bigger. The suitcase shell is made of injection molded polypropylene, which is not only light, but is also highly impact resistant. The handle extends with the built-in push button and can be extended for easy rolling. The wheels are double wheels, which when added up equals to 8 wheels in total. They glide well and pivot smoothly to 360 degrees. When on its side, it can be lifted with its sturdy side handle. If you decide you need more storage, don’t worry because this suitcase expands with a zipper to add 2 inches of capacity to your luggage. Rather than buy a larger suitcase and then realize you don’t always need the extra capacity, get this and have the option of using it with or without the expandable capacity. Inside features a divider which doubles as an organizer. It zips into place and keeps one half of the interior from mixing with the other half. To secure items in place, a stretchable cross strap comes out from each corner and fastens with a buckle. 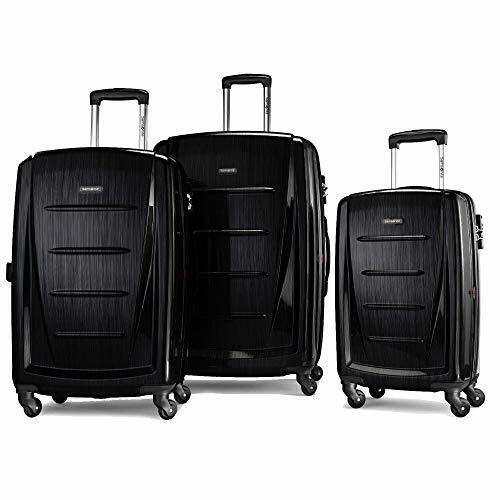 Adding a touch of style and grace, the Winfield 2 Fashion Spinner from Samsonite, will stand out from the crowd. In a choice of 8 fashionable colors, let your personality shine through when traveling. Traveling no longer has to mean being forced to buy a boring ugly suitcase. For those who want more storage than a carry-on, this suitcase is ready for the task. It can be expanded with the expandable zipper, adding 2 additional inches of storage. 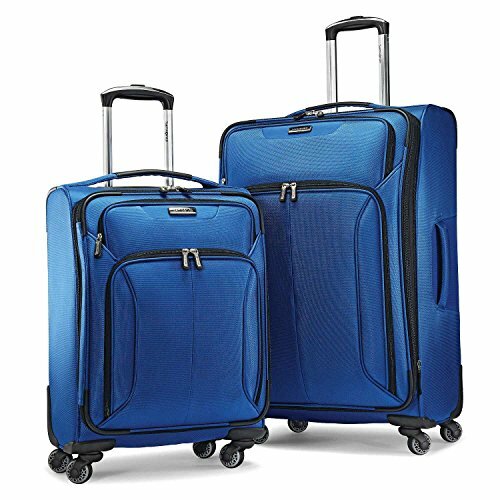 When not fully expanded, the suitcase measures 31 x 20 x 12.75 inches, which includes the wheels. Despite it being a big suitcase, it still manages to weigh 11.5 lbs, which is really good for this size. The hard shell is made of 100% polycarbonate, which is the gold standard of materials in sturdy and lightweight luggage. It can flex under stress, which allows it to absorb impact. The material also limits scratches, which inevitably happen over time. The four spinner wheels are completely multi-directional, which allows the suitcase to pivot in a split second. They glide effortlessly over bumps or smooth surfaces. The top includes a carrying handle and also an extendable push-button handle, which can be used to roll the luggage. The inside has a full zip interior divider that includes organizational pockets. It separates both halves of the interior when it is fully zipped. If you don’t have a TSA lock or lose them on occasion, don’t worry because this suitcase has a side-mounted TSA approved lock already built-in. 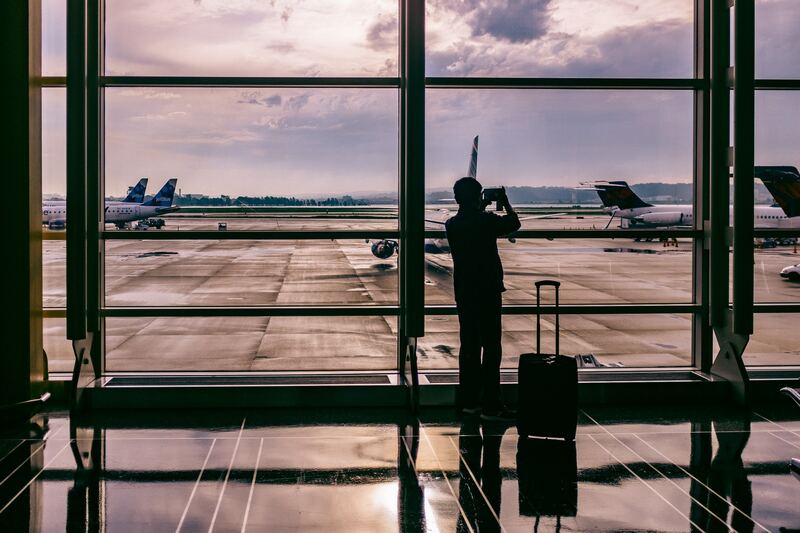 It’s one less thing to worry about when you’re planning a trip. 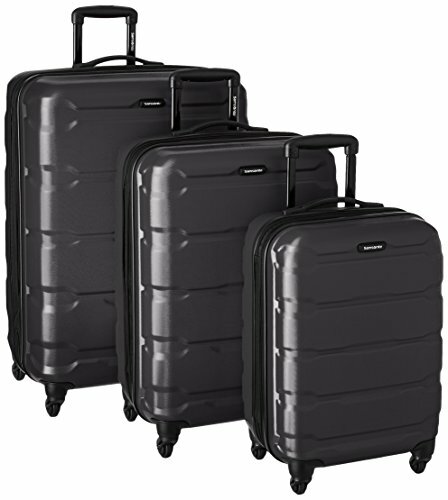 21-inch spinner: 20" x 15" x 8", 27-inch spinner: 27" x 18.5" x 9.5"
Well made and utterly delightful, the Ultralite Extreme Spinner set from Samsonite, takes the average soft-sided luggage to another level. The two-piece set comes with one 21-inch carry-on luggage and a larger 27-inch upright bag. The carry-on should be allowed by most airlines, but check with your airline just in case, since they can vary in size. The carry-on measures 21 x 15 x 8 inches and weighs less than 6 lbs. The larger upright measures 23 x 15 x 9.5 inches and weighs less than 9 lbs. It’s coated with a water and stain repellant coating to keep it looking good for longer. On the front are 2 good-sized padded pockets, which can hold travel books, maps, or a few light layers of clothing. The zippers are self-mending coil zippers, which provide a smooth gliding action when opening or closing. On the front, you’ll also find a zipper that when opened, expands the suitcase by about 2 inches. I always look for suitcases with expandable storage, just in case I’m struggling to fit everything into my luggage. A large padded handle on the top allows you to grab the suitcase easily and comfortably. The side also features another padded handle for increased handling. On the top is a beveled alloy handle which extends with a push of a button. It feels strong and sturdy and is comfortable to use when rolling the suitcase over surfaces. Four spherical spinner wheels provide superior stability and allow for 360-degree rolling without any effort. Inside, there is a fully zipped pocket inside the lid with a small mesh window to show what’s inside. Stretchable compression straps, secure over items in an X-formation. For the price, it’s a nice little luggage set that is durable and beautiful. Expanding on my review for the 28-inch Winfield Spinner, the Winfield 2 also comes as a 3-piece set. It includes a 20-inch carry on, a 24-inch upright suitcase, and a 28-inch upright suitcase. Whether you’re looking for a 3-piece set to use between your family or for yourself, the Winfield 2 will bring you years of stylish, durable luggage. You have the choice of picking between 8 fashionable colors, so you will find a color that reflects your style and personality. Functional luggage doesn’t always mean buying something boring and ugly. You can travel in style with the knowledge that this set has a 10-year warranty and looks amazing. For those who want more storage, the 24-inch and 28-inch suitcases can be expanded with the expandable zipper, adding 2 additional inches of storage. 20-inch carry-on: 23 x 14.5 x 9.5 inches, including the wheels. It weighs 6.7 lbs. 24-inch upright: 27 x 17.5 x 11.75 inches, including the wheels. It weighs 9.3 lbs. 28- inch upright: 31 x 20 x 12.75 inches, which includes the wheels. Despite it being a big suitcase, it still manages to weigh 11.5 lbs, which is quite good at this size. The hard shell material is made of 100% polycarbonate, which is an exceptional material in sturdy and lightweight luggage. It can flex under stress, which allows it to absorb impact. The material also limits scratches, which inevitably happen over time. The four spinner wheels are completely multi-directional, which allows the suitcase to pivot in a split second. They glide effortlessly over bumps or smooth surfaces. The top includes a carrying handle and also an extendable push-button handle, which can be used to roll the luggage. In nine stunning colors, the Samsonite Omni Carry-On set will have you traveling in style in no time. It’s not just visually appealing, though, but also functional and durable. This set comes with a 20-inch carry-on, 24-inch upright, and 28-inch upright luggage. It’s great for a family or for a solo traveler who seeks versatility. 20-inch carry-on: 22 x 15 x 9.5 inches, including the wheels. It weighs 6.8 lbs. 24-inch upright: 26.5 x 18.5 x 11.5 inches, including the wheels. It weighs 8.3 lbs. 28- inch upright: 30.5 x 21.5 x 13.5 inches, which includes the wheels. Despite it being a big suitcase, it still manages to weigh 10.35 lbs, which is quite good at this size. Inside it has a full-zip interior pocket, divider, and cross straps that secure belongings from corner to corner. Thanks to the expandable zipper, you can turn the 24-inch and 28-inch upright suitcases into a bigger size. If you’ve ever realized you needed a few inches more of space, then you know how handy these expandable suitcases are. 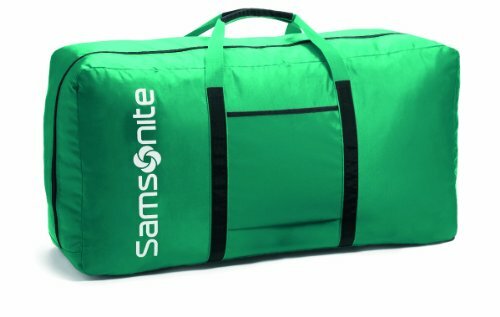 The Samsonite Andante wheeled duffle bag, is a versatile and budget-friendly bag great for weekend trips or for kids who are in sports. It’s made of durable polyester fabric that is lightweight and can be stored flat when not in use. Although this bag feels quite durable, I would not recommend it for above-average travel needs. For the price, it’s a great budget option if you don’t travel more than 4 or 5 times a year. Most airlines consider this bag a carry-on size, but double-check with your airline just in case. The bag measures 22 x 12.5 x 12 inches and weighs 5.1 pounds. It also comes in a 28-inch and 32-inch size, in case you need extra storage. It rolls on two smooth wheels, which feature a steel-spring suspension. Vibrations caused by rolling over uneven ground is instantly absorbed. Built into the frame of the duffle bag, is a retractable handle. The handle retracts with a push-button and makes transporting the bag much easier compared to traditional way of carrying a duffle bag. It features a few handles and straps for versatile handling. Straps can be joined with a padded velcro handle, which allows you to carry the duffel bag as you normally would. There is also a padded handle on top, which allows you to lift the bag when needed. The front features a U-shaped opening, which allows you to pack and unpack your belongings with ease. Near the top-handle is another compartment, which is accessible via a zipper. 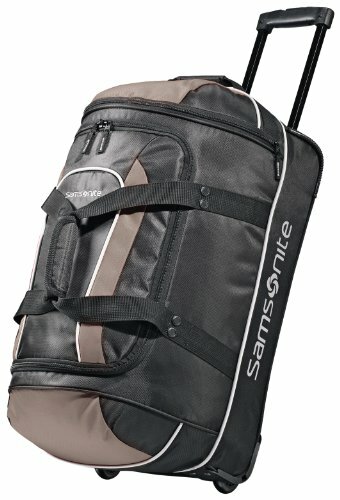 When you need the storage of a small car trunk, look no further than the Samsonite Tote-a-Ton. The name says it all really. It’s great for kids going to summer camp, freshmen going to college, storing winter bedding, or anything you can think of. It weighs only one pound when not in use and is constructed of ultra-light 420 Denier nylon. When full, it measures, 33 x 17 x 11.5 inches overall. It comes in black, purple, red, and vivid green. The side feature one small pocket, which can fit a few items. The top handles are made of nylon and can be used together to carry the duffel. For something this large, it’s not something you would want to carry for any longer than a few minutes at a time, unless you are quite strong. However, sometimes you just need a really big bag to hold everything but the kitchen sink. Whether camping, going skiing, or moving, this type of bag is great for moving many items at once. Whether using for short or long trips, the small Samsonite Wheeled Underseater is a handy suitcase to bring along with you. The bag measures 13 x 13 x 9 inches and weighs 6 pounds. Used with a packing cube, I was able to fit five outfits, my undergarments, toiletries, and ballet flats. On the exterior, it has a zippered pocket with four compartments. Each compartment has a zipper, aside from one pocket. I was able to store my vitamins, ear plugs, cotton buds, and phone charger. The sides feature one zippered pocket on each side for a small water bottle or umbrella. On the back, there is a “piggyback” strap so that you can stack this bag over your luggage’s handles. It definitely makes it very handy, when you’re trying to carry multiple bags at once. A retractable handle is stored within a zippered pocket, which can be put away when not in use. I was able to roll it through the airport on its inline skate wheels, but also carry it by the padded handles when I needed to. Inside features two removable organizers. They have multiple zippered compartments for storing small items and toiletries. 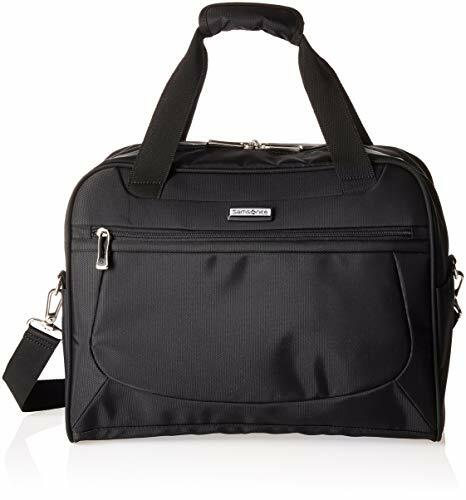 Moving on to a slightly roomier under-seat bag, the Mightlight 2 boarding bag from Samsonite is a handy bag to use on its own as a weekend bag or as a supplement to your carry-on luggage. It measures 16 x 12 x 8 inches and weighs only 3 pounds. It can be stowed beneath your seat when flying or also in the overhead compartment. Constructed from ultra-lightweight nylon fabric, it is covered with a water-resistant coating for added strength and durability. Outside features a front pocket with zipper for all your travel needs. On the back, there is a “piggy-back” strap, which slides over your carry-on’s handles for convenient stacking. There is a removable shoulder strap and also padded dual-handles for easy carrying. Inside is spacious and I was able to fit four days worth of clothing, including my toiletries, pj’s, and my light sneakers. Many airlines in the U.S. consider this size within the “free personal item” category, so I was also able to bring a carry-on with me when I boarded my flight. 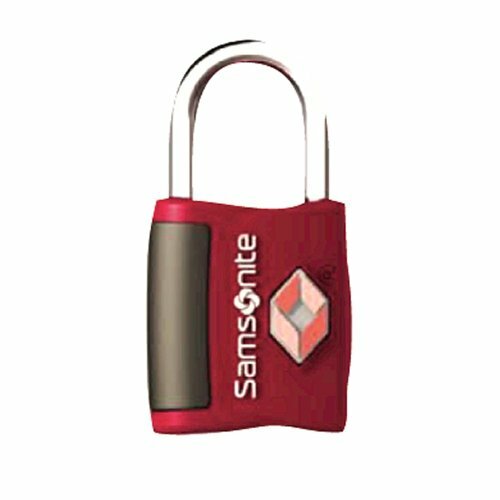 It comes with a 10-year warranty, which gives me some indication of how confidant Samsonite is that their bag will last. 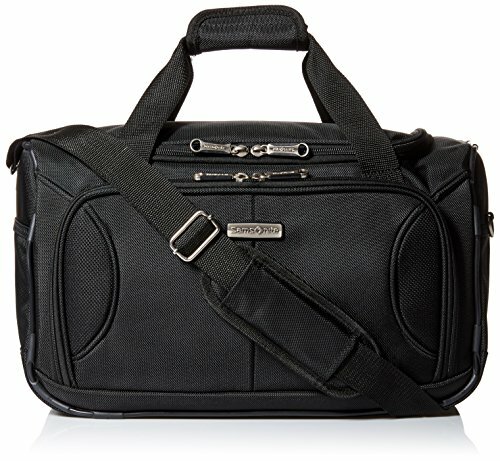 Another great boarding bag is the Samsonite Aspire Xlite, which comes in black and this gorgeous aqua color. It features a u-shaped zipper, which provides even greater access to the main compartment. It measures 16.5 x 12 x 10 inches and weighs 2 pounds. Most airlines will consider this bag as your “personal item”, which still allows you to bring a separate carry-on luggage on board your flight. I found that it fit under my seat, just as described. On the front, there is a handy front-pocket for any last-minute items you need access to. The back has a handy “piggy-back” strap, which allows you to put your suitcase’s handles through the strap and stack this bag over it. It comes with a removable shoulder strap and a padded velcro holder, which combines the dual-handles into one handle. To protect the corners from wear and tear, it features rubberized corner protectors. The zippers are large, self-mending coil zippers and have a smooth movement to them. As usual, this bag is backed by a 10-year warranty, which is a good indication of the quality. For those times when you are traveling with delicate clothing or elegant attire, the soft-sided wheeled garment bag from Samsonite will keep your clothes wrinkle-free until you reach your destination. 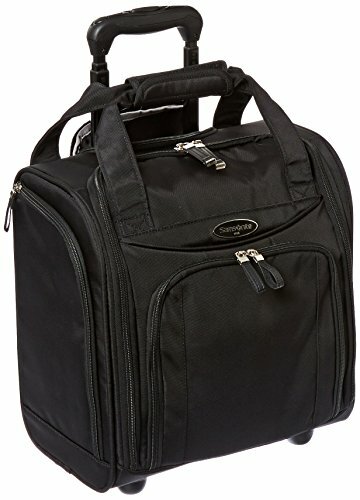 Perfect for 3 or 4 days, this bag has great storage. It measures 23 x 17 x 10 inches and weighs 8 pounds, which fits safely within the carry-on category. The spacious design allows you to keep your outfits in their hangers. Once at your destination, the garment bag can be hung in the closet. On the front, there is one large zippered pocket for storage. Along the top and bottom, there are padded handles for easy holding. The retractable handle extends and allows you to pull the bag on its inline skate wheels for comfortable travel. The design cleverly expands when opened. Full-length outfits suddenly appear, like a pop-up book reveals itself when turning a page. Inside features a hanger hook bracket, which allows you to keep your clothes in hangers when the bag is closed. Two boomerang-shaped zippered mesh pockets sit right above the hangers, using the space efficiently. At the bottom, there are two zippered pockets for storage. One is a mesh pocket and the other a frosted plastic one, for keeping toiletries or other small items. No luggage roundup is complete without one of the most basic travel accessories, the TSA luggage lock. The Samsonite Travel Sentry 2-pack is strong and will withstand the rigors of baggage handling. Made of zinc alloy, each lock comes with two keys and is recognized and accepted by the TSA. It comes in five colors, from colorful to basic. The dimensions are 7.5 x 5 x 1 inches, including the metal loop. Whether you’re replacing an old suitcase, making your first luggage investment, or supplementing your existing luggage collection, Samsonite is as dependable a brand as it gets. I hope my guide to the best Samsonite luggage has streamlined your search for the right travel bag. I know there is just so much choice nowadays, so every little bit of information helps. 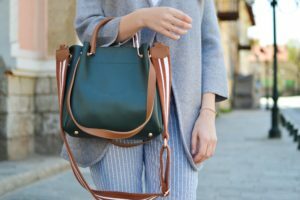 If you didn’t see your favorite bag mentioned on my list, please share your favorites in the comments.